The North American Veterinary Community has partnered with LifeLearn Animal Health to bring a smarter, more personalized and engaging VetFolio to the veterinary community. VetFolio offers one-stop access to hundreds of online veterinary medical courses and programs for veterinarians, veterinary students, veterinary nurses/technicians, practice managers and practice staff. “We are incredibly excited to partner with LifeLearn on VetFolio, and we’re working together to switch things up for the better. VetFolio will soon have a completely new technology platform optimized for mobile,” said Thomas M. Bohn, NAVC chief executive officer. “Our goal with VetFolio has always been to elevate the platform to more than just a continuing education (CE) provider. With hundreds of hours of learning material (including Spanish-language content), VetFolio’s extensive learning libraries include articles, educational surgery videos, and NAVC/VMX sessions available for CE credit. Courses cover preventive medicine and nutrition, pain management, geriatric medicine and more. The new platform boasts simplified search options and intuitive navigation, making it easier to find the right course. 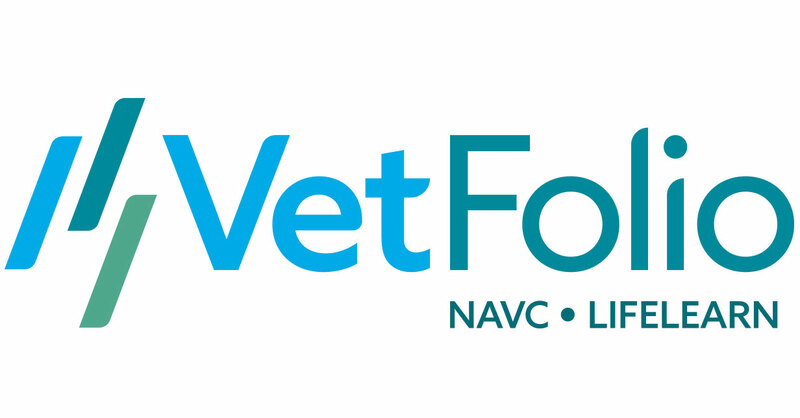 “We’re excited by the opportunity to invest in VetFolio and partner with NAVC. It was a natural fit,” said Randy Valpy, president and CEO of LifeLearn. “LifeLearn began 25 years ago as a distance education provider to veterinarians, and was the first company to receive formal CE accreditation by the AVMA for its distance-learning modules. VetFolio also offers multiple resource centers — searchable hubs of educational content for business development, innovation initiatives, veterinary nurse/technician-specific education and more. Additionally, subscribers have access to specialized courses and training through collaborations with partner companies and institutes. Today’s Veterinary Business is published by NAVC.